Pulverizers, crushers, and other seal bearing equipment are designed for the primary demolition of walls, flooring, buildings, and other vertical structures. They can also be used for recycling applications, and secondary demolition of reinforced concrete materials and structures. 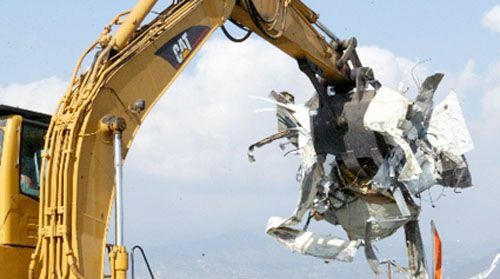 Demolition and scrap equipment is manufactured utilizing technologically advanced materials. They feature innovative designs, which optimize the demolition process. They are specifically engineered to withstand high levels of pressure, wear, and abrasions. However, the equipment requires the help and support of industrial seals for reliable demolition, and continual performance. 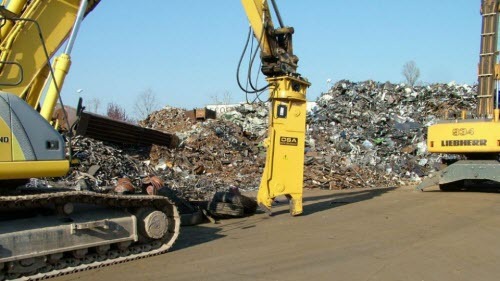 SSP Manufacturing Inc. supplies seals and bearings for different types of demolition and scrap equipment. At SSP Seals, we design and produce industrial seals that are specifically engineered to meet the harsh and dangerous work of demolition. Seals for Shaft Seal: All products offer the advantages of being fully split. Hence, they are replaceable and serviceable. The intermediate shaft bearing solutions are fully split, and self-aligning. Our oil lubricated radial support bearings are constructed from cast iron, and are designed with centrifugally cast white metal bearing surfaces. Seals for Thrust Bearings: These bearings are single collar, self-aligning thrust bearings. They are designed with two faces of tilting pads on pivots. Standard bearings are designed for axial loads only. However, we provide other bearing options for axial and radial loads. Seals for Generator Bearing: We provide sealing solutions for a variety of machinery components – compressors, pumps, turbines, internal combustion engines, motors & generating sets. Refer to our Oil Seal Page to peruse our types and profiles. If you would like more information, call us on 1-908-852-3125, or send us an email at rrom@sspseals.com.